Emergency Light Testing Tips: Have You Tested Your Exit Lights Lately? Do you have exit lights or emergency lights in your office or building? When was the last time you tested them? Emergency and exit light testing is one of those jobs that many businesses don’t realise they legally are obliged to do every six months under Australian Standards 2293.2. 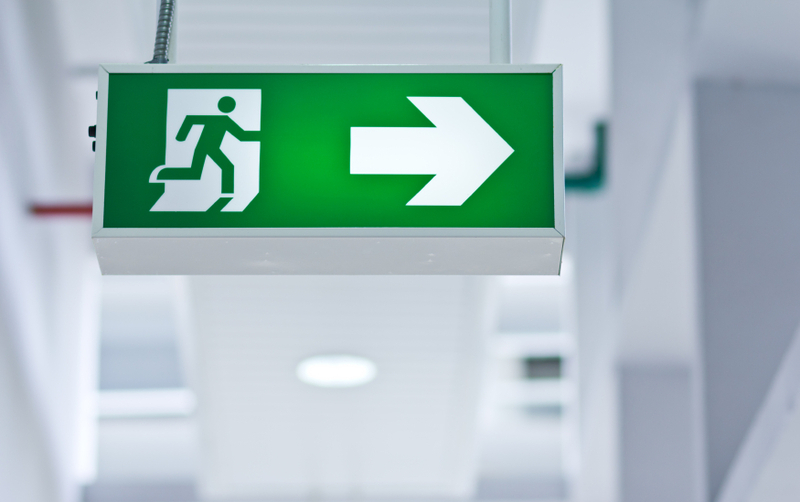 So why do you need to test your emergency and exit lighting? Imagine that there is a fire in your building. The lights have suddenly gone out and it is very dark. The office is full of smoke and your clients and staff need to quickly get out of the building. Without operational emergency and exit lights, how will they know which way is out? Exit lighting is generally installed over doors, or is directional to help people locate the nearest exit. There are two main types of exit lights in buildings: One stays on all the time and other only comes on during power failure. The ones that stay on all the time have two sets of bulbs inside them – one which operates on the regular building power, and a smaller low voltage bulb that is powered by a battery and which only comes on when there is a power outage. An exit light that appears to be working when the power is on, may have a burned out low voltage bulb or flat battery, which means that it doesn’t work when it is needed. The exit lights that only come on during power failure are connected to the main electrical supply that constantly charges the battery. When the power fails, a circuit is triggered and the low-voltage bulb comes on – powered by the battery. If the battery does not hold the charge, it can quickly become dim. 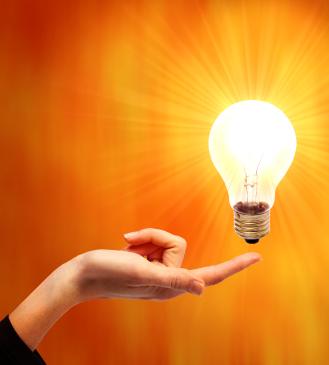 If the bulb is burned out, the light will not come on at all. Many businesses also have emergency lighting to provide basic lighting in case of power outages (often called spitfire lighting). These are often located above stairs and within rooms such as toilets to provide enough light for people to safely exit or move around the area. Emergency lighting is also required to be regularly tested. Australian Standards require that exit lights be tested every 6 months and must remain illuminated for at least 90 minutes running on battery power. Most emergency exit signs have a small “push to test” button on the casing. Press this button and the lights will come on, powered by the battery. You need to time the lights to ensure they remain bright for the full 90 minutes. Self-testing works well if you only have one or two lights that are easily reached. If you have a number of exit lights, or you want guaranteed peace of mind, then call in a Master Electrician to test them for you. They can then fix or replace anything that is not working. Since 2006, all new emergency lights installed are required to have the pictograph of a running man rather than the word “exit”. There have also been changes in terms of maximum viewing distances for the signs. Many businesses choose to upgrade to the new pictogram style exit signs for greater safety for their clients and staff. 90 minute battery testing either using manual testing or circuit breaker testing. Inspecting and replacing bulbs and lights as needed. Cleaning all light reflecting surfaces to ensure maximum illumination. Checking for compliance with current safety standards in terms of distance and sign type. Documenting the tests completed for your safety log book and maintenance book. We can combine your exit light testing with testing of your smoke alarms, emergency lighting, circuit breaker tests, safety switch tests and your electrical equipment test and tag process for a complete business safety service. We can also replace existing halogen bulb exit or emergency lighting options with more power efficient and long-lasting LED lighting options.